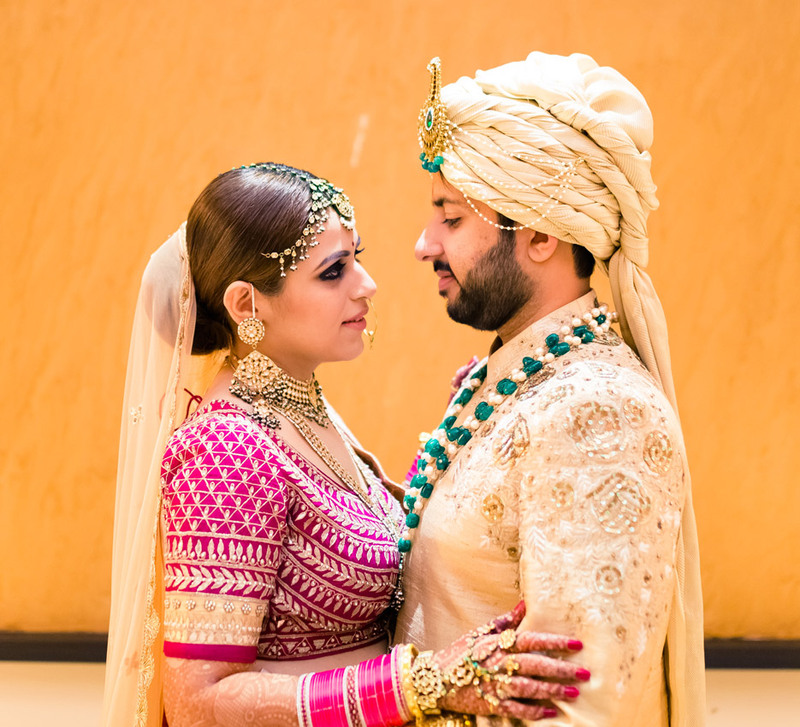 From contemporary Bollywood tracks to folksy Marwari songs, Ayushi and Pranav's wedding celebrations in Mumbai resounded with the beats of music, merrymaking and marriage vows sung during the pheras. 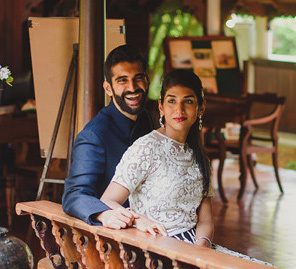 For Ayushi and Pranav, one meeting was all it took to realize that there was something special between them. Soon enough, the couple decided to tie the knot and trusted none other than Weddingsutra Favorite - Shaadi Squad to plan for them their big day. The bride shares with us the highlights of the lavish wedding. 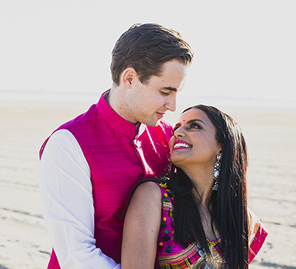 "Pranav and I were introduced to each other by our parents last December. Soon after the first meeting, we were hooked on to each other. Many dates and dinners followed which brought us closer. He proposed to me on my birthday this year which falls on February 7. I happily said 'Yes!'" "While I am the oldest member of the family in our generation, Pranav is the youngest. Therefore, our wedding had been eagerly awaited and both the families wanted this to be a grand occasion. We were expecting over 2,000 guests at the wedding, which is why we picked the DOME at NSCI as the venue. For the other functions, we booked event spaces at The Oberoi, Mumbai and The Taj Mahal Palace, Mumbai. 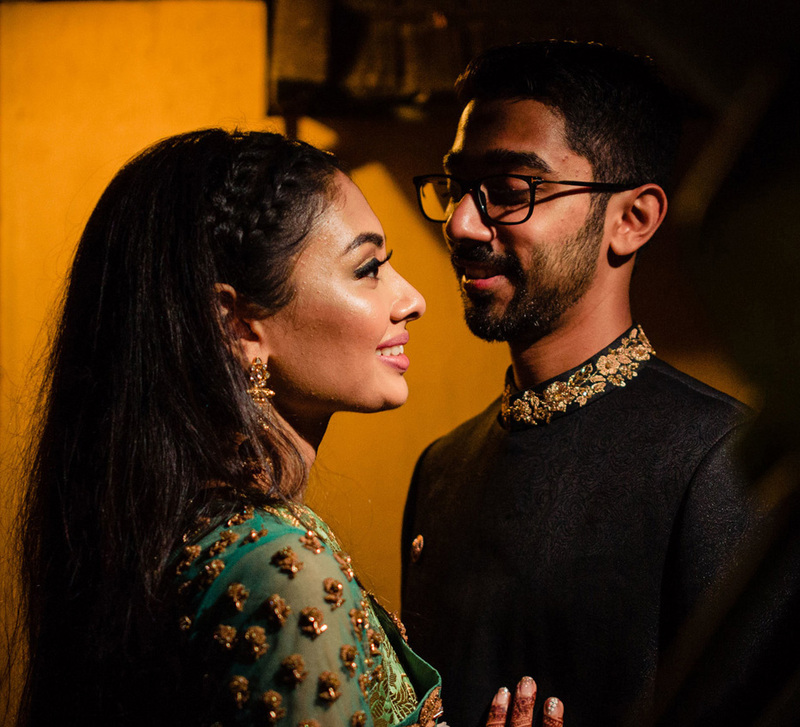 "Our wedding was planned by Shaadi Squad and working with them was such a breeze! Tina and Saurabh truly are exceptional. They took care of every little detail that would have missed even our eyes. They have a great network of vendors, and they work with only the best which ensures that everything at our nuptials was just perfect!" The 'pooja' (prayer ceremony) marked the beginning of our wedding celebrations, and the venue was decorated using bright drapes in shades of purple, pink, orange and so on. We also had lots of colorful cushions that brightened the space further. The dress code for this function was yellow, so I opted to wear a yellow lehenga, and the ladies of the house wore yellow bandhani sarees. The men, on the other hand, donned traditional dhotis." "I had not thrown a party to celebrate my engagement. Therefore, my cousins and sister planned to host a function at home that was a mix of a mehndi and a bachelorette bash. The decor was created around a floral theme and pastels colors brought in a romantic feel to the setup. We had dance practices, and Shaadi Squad called a 'dhol wala' (traditional drummer) whose beats added to the cheer of the occasion. "Our cocktail party was hosted at The Taj Mahal Palace, Mumbai. The decor was inspired by an Italian garden fit to be a part of a fairytale, and the botanical elements matched with the ice sculptures. Pranav and I exchanged rings after which we cut a cake and popped a bottled of champagne. We had invited Benny Dayal to perform at the function and with his repertoire of upbeat songs, he had us partying till late into the night." "The setup for our mehndi was very traditional and had a distinctive Rajasthani vibe. The colors of the decor were pink, blue and red. We created small water bodies and flowers were strewn everywhere. Keeping in line with the theme of the function, the music too, was Rajasthani. Our families danced to Marwari numbers." "For our sangeet, the ballroom at The Oberoi, Mumbai, was decked in fresh blooms. Pink flowers were used in abundance and lights were used to create a magical atmosphere. The evening saw several performances by our near and dear ones. Once we were through with the choreographed dances Salim–Sulaiman took over and kept our guests entertained." "We had a very grand wedding that looked every bit fit for royalty. The backdrop of our mandap was enveloped in white, pink and red flowers. The foliage aspect was designed to uplift the aesthetics. During the pheras, we had one person who sang while another who explained the vows out loud so that everyone found the ceremony engaging. The food at our wedding was the best part. It was prepared by Jyoti Caterers who extended an array of cuisines from all over the world and from within India. We also had a station by the popular restaurant Indian Accent and ours was the first wedding they catered for. The day ended with a sit-down dinner for close family members." "Focus on enjoying the months before the wedding. Two months before the wedding I let all the worries take over because of which I couldn’t enjoy that time to the fullest. Listen to your heart and go for what you want. It is your big day, and you deserve to have it the way you like."